Court orders blocked several websites, including an archiving platform, blog-hosting sites, and even a music streaming service, under anti-extremism laws (see Blocking and Filtering). The independent news website Zanoza was forced to remove articles that criticized then-president Almazbek Atambayev (see Content Removal). At least two criminal charges regarding online content were filed for inciting hatred under Article 200 of the Criminal Code (see Prosecutions and Detentions for Online Activities). Online news outlets and journalists faced legal sanctions, including fines, for criticizing state officials (see Prosecutions and Detentions for Online Activities). Internet freedom in Kyrgyzstan declined in 2018, driven by the government’s arbitrary blocking of an increasing number of websites under anti-extremism rules. The internet has remained “Partly Free” in recent years, with fewer restrictions since the overthrow of President Kurmanbek Bakiev’s regime in 2010. Despite some improvements, a rural-urban divide in internet access persists, and internet penetration rates lag behind those of neighboring countries. The Digital CASA – Kyrgyz Republic project, which plans to expand internet access by providing 60 percent of the population with broadband internet, went into effect during the coverage period. Increased censorship during the reporting period affected the internet and its users, as a number of websites fell victim to the government’s efforts against “extremism.” The government also utilized “inciting hatred” as a justification to crack down on online content, including filing a criminal case against the editor-in-chief of the independent outlet Ferghana News. Ferghana News was also blocked during the coverage period, while online media outlet Zanoza was forced to remove several articles critical of then-president Almazbek Atambayev. 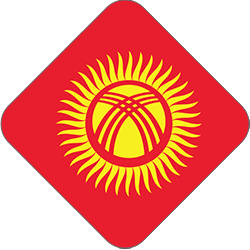 Like many states in the former Soviet Union, Kyrgyzstan uses system for operational investigative activities (SORM) technology for surveillance purposes, and recently required all internet service providers (ISPs) and mobile providers to install the latest version of SORM to facilitate government surveillance. Evidence continues to emerge indicating that the government is abusing this technology to monitor the political opposition. Internet access in Kyrgyzstan is relatively limited, though internet penetration rates continue to increase, with the introduction of unlimited plans by mobile operators and the development of 4G services helping to improve access. There is still a digital divide between urban and rural areas, as telecommunication companies have fewer incentives to expand services and infrastructure outside major cities. The state-owned telecommunications company, KyrgyzTelecom, controls the majority of the market for fixed internet access, with a market share of about 70 percent. Access to the internet in Kyrgyzstan continues to expand, though the percentage of the population with internet access is still low by global standards. On January 18, 2018, the Digital CASA – Kyrgyz Republic project came into effect.5 The project, funded by the World Bank, will develop digital infrastructure and public electronic services. It also seeks to improve broadband internet access networks between Central Asian and a few South Asian countries and create a Regional Digital Platform and a Regional Center for Excellence in Digital Development. The project hopes to provide 60 percent of the Kyrgyzstan population with broadband internet via nearly 400 miles of fiber-optic links. In recent years, the price for the internet has decreased, becoming more affordable for much of the population, though primarily in the capital, where the infrastructure is well-developed and there is greater competition among providers. The average monthly price for a fixed-line broadband subscription offering one mbps was KGS 576 (US$8.40) in 2018, which is affordable for much of the population.9 The average cost for a mobile broadband package was approximately KGS 511 (US$7.40) in 2018.10 Rates in rural areas served mainly by KyrgyzTelecom are significantly higher than in urban areas. The development of mobile networks provides an alternative to fixed broadband access. Fixed-line ISPs no longer charge differently for domestic versus international content. However, since the introduction of unlimited data plans, providers offer different bandwidths for domestic compared to international traffic. Mobile phone operators do not make this distinction in their data plans and provide the same bandwidth for accessing information, regardless of where it is hosted. Kyrgyzstan’s telecommunications sector is relatively liberalized and competitive compared to that of other countries in the region; however, the state-owned KyrgyzTelecom is still the largest ISP, with a market share of about 70 percent that reaches about 95 percent of subscribers.14 The other six first-tier ISPs (Elcat, Megaline, Saima Telecom, Beeline, NurTelecom, and RTC) are privately owned. There are three mobile phone operators providing voice and data services under brands Megacom (32 percent of the market), Beeline (41 percent), and O! (27 percent). Mobile operator O! has experienced market growth in the past two years due to its launch of 4G services. Megacom was nationalized in 2010 amid the political upheaval. The State Committee of Information Technologies and Communication was created in July 2016, taking on many of the regulatory functions previously performed by the State Communication Agency (SCA). The SCA was absorbed as a department under the Committee, removing its independence. The Committee’s responsibilities include developing information communication technology (ICT) policy, facilitating the development of the ICT sector, as well as governing the ICT sector. The Committee also issues licenses for ISPs, sets standards, and ensures the standards are followed. Since its inception two years ago, it has become clear that the Committee’s activities greatly depend on the personality of its head. For example, those who come from the private sector push reforms forward, while those who come from government push them backward. There is also very limited institutional memory, as incoming Committee heads usually change all key staff. An increasing number of webpages were blocked this year in the government’s efforts to limit “extremist” content online. One independent news outlet was also blocked for unknown reasons, while another independent outlet was forced to remove articles criticizing the president. Despite these negative developments, the government does not systematically block or filter content. After several years without major censorship issues, authorities in Kyrgyzstan once again engaged in disproportionate and arbitrary blocking. This uptick mirrors growing government concerns over extremism. An archiving platform, blog-hosting sites, and even a music and podcast streaming service have become collateral damage in the government’s broad application of anti-extremism laws. Social media platforms such as YouTube, Facebook, and Twitter are freely available, although authorities are examining appropriate methods for censoring individual pages on these platforms. In October 2017, a district court ordered that a number of webpages, including the music and podcast streaming platform SoundCloud, be blocked for housing extremist content. The order meant that SoundCloud files can no longer be distributed or stored, which seemingly would apply to all updated music including popular songs by famous artists.17 A request to the district court submitted by the local news outlet Kloop.kg revealed that the blocking request came from the Prosecutor General’s Office. Since the court order, the government has reportedly experienced technical issues in its attempts to block SoundCloud. In addition, because the court order blocked several subdomains of blogspot.com and wordpress.com, some operators not utilizing deep packet inspection technologies had to block all subdomains that share the same IP address.18 Also included in the court order were URLs of some YouTube videos and Facebook pages, though these have not been blocked due to the technical difficulty of blocking single pages in social networks using HTTPS. The government does not often force outlets to remove content, though journalists have occasionally removed political content under threat of violence from unknown actors (see Intimidation and Violence). There are no specific economic restrictions imposed by the government that negatively impact users’ ability to publish content online or that restrict online media outlets’ ability to remain financially sustainable. There are several popular blog-hosting platforms in Kyrgyzstan (such as Namba.kg, Kloop.kg, Diesel.elcat.kg, and Taboo.kg), but most blogs focus on entertainment or reprint reports from other news agencies. There are no particularly popular blogs specifically devoted to political or social issues. Most blogs are in Russian, though some less popular ones are in the Kyrgyz language. The internet in general has become an important source of alternative information for users, but the main participants in online communities are primarily the wealthier segments of the population who can afford consistent internet access. Self-censorship exists online to a certain degree, primarily as a result of government restrictions on inciting national hatred. All posts on forums are strictly moderated to limit this type of content, and online journalists and bloggers generally try to avoid issues concerning ethnic relations. Other laws may increase self-censorship, such as Article 4 of the Civil Code, which establishes steep fines for defaming the president’s “honor and dignity,” and 2014 amendments to the Criminal Code, which introduced criminal penalties of up to three years in prison for disseminating false accusations regarding the commission of crimes (see Legal Environment). Online platforms such as forums and social networks have also been used for manipulating public opinion, usually by trolls hired by different political actors to influence discussions and express favorable views. While internet users are not generally imprisoned for their expression, a few criminal charges were filed during the reporting period for inciting hatred under Article 299 of the Criminal Code, and a growing number of users faced civil sanctions for critical expression online. Those critiquing the government online have also been the target of intimidation and harassment. In addition, the government’s capacity for surveillance of ICTs increased in recent years. A regulation requiring upgrades to SORM-3 technology also instructed service providers to install black boxes on their networks that allow intelligence agencies unfettered access without a court order. Kyrgyzstan’s constitution, last amended in 2010, contains several legal protections applicable to online activities. Article 31 guarantees the right to freedom of thought, expression, speech, and press. Article 29 protects privacy, including private communications shared by phone or electronic methods, and forbids the collection or dissemination of confidential information without the subject’s consent. During the reporting period, there were arrests for inciting hatred online under Article 299 of the Criminal Code (see Legal Environment). Additionally, government officials, including the president, have demonstrated a low tolerance for personal criticism and have sought to discourage and discredit online critics by pursuing civil suits. Ulugbek Babakulov, a Kyrgyz journalist who contributes to the news website Zanoza, was charged in June 2017 for inciting ethnic, racial, religious, or interregional hatred under Part 1 of Article 299 of the Criminal Code.39 In May 2017, Babakulov published an article in Ferghana News that included examples of social media posts inciting hatred against the Uzbek minority in Kyrgyzstan. Babakulov received a number of death threats and criticism (see Intimidation and Violence), and Ferghana News was blocked in the country (see Blocking and Filtering). In February 2018, Temir Bolotbek, a Bishkek university professor, was also arrested under Part 1 of Article 299 of the Criminal Code.40 Bolotbek had made a combative critique of Soviet architecture and those who enjoy the style in a comment to a Facebook post of the chief editor of Kaktus.media. If convicted, Bolotbek faces four to seven years’ imprisonment. In June 2014, the government adopted a resolution with new instructions for ISPs and mobile service providers to update their systems to the latest version of SORM technology. These instructions included requirements for service providers to store the data of their subscribers for up to three years, and to allow the authorities direct, real-time access to communications networks.47 Service providers are also required to purchase and update equipment at their own expense to ensure compliance. These new regulations effectively introduced the potential for mass surveillance without judicial oversight, and there have been signs of possible abuse since they were implemented. In March 2016, a recording of telephone communications between opposition figures discussing a potential political upheaval were leaked to the public. Those involved were accused of attempting to forcibly seize power.48 In May 2016, telephone conversations between leaders of the People’s Parliament opposition group were also leaked online, and appeared to show them planning to seize power; they were also arrested.49 It is not clear how these recordings were obtained, but the pattern of targeting opposition leaders suggests abuse of SORM equipment by the government. Since February 2012, the Civil Initiative on Internet Policy, together with the Kyrgyz State Committee on National Security and several human rights organizations, has been working on amendments to the Statute on the Conduct of Investigations—the body responsible for regulating these issues—that would clarify the circumstances surrounding the use of interception technology and provide a more adequate legal framework. The bill is yet to reach parliament for consideration. Parliament passed a personal data law in 2008 that complied with international standards and established an authority for personal data protection. In practice, however, the law has not been effectively implemented or used. In 2017, new amendments to the 2008 law were passed that were intended to more effectively protect personal data.50 A proposed data protection authority is yet to be established. The government stores biometric data of its citizens. In 2015, the government first mandated that citizens register their biometric data in order to vote, arguing that it was necessary to combat voter fraud like repeat voting.51 During the October 2017 presidential elections, voters were identified using their data like fingerprints or facial recognition.52 However, over 800,00053 citizens were denied their right to vote because they had not registered with the government. In general, there is not a significant level of violence or harassment against ICT users in Kyrgyzstan, though some isolated incidents relate to online activities. Some individuals have alleged they were tortured while in detention. Abdullo Nurmatov stated he had been tortured to provide login credentials to allow law enforcement agents to access his Odnoklassniki and email accounts. In May 2016, he was given a one-year suspended sentence for “storing and disseminating extremist content” after “liking” photos posted by the controversial religious leader Imam Rashod Kamalov on the Odnoklassniki social network. He was detained for 48 hours by the State Committee of National Security and placed under house arrest during the investigation. Instances of politically motivated cyberattacks are rare, though government web resources are occasionally targeted. Hackers targeted the website of the State Committee on Defense Affairs in June 201657 and the website of the State Committee of National Security in July 2016,58 demonstrating that state websites continue to operate with some security weaknesses. 4 KyrgyzTelecom, “Results of modernization and development projects since 2011,” http://kt.kg/about_us/press_center/#ui-tabs-2. 5 Проект «Digital CASA – Кыргызская Республика» [Project “Digital CASA – Kyrgyz Republic], March 01, 2018, http://www.ict.gov.kg/index.php?r=site%2Fpress&pid=58&cid=1 Accessed March 2018. 7 MegaCom, “MegaCom объявляет о масштабном запуске сверхскоростного 4G LTE!” [MegaCom announces large-scale launch super-high-speed 4G LTE!] March 10, 2016, https://www.megacom.kg/news/3708?locale=ru; Beeline, “Beeline объявляет о запуске сети 4G LTE во всех регионах Кыргызстана!” [Beeline announced the launch of 4G LTE network in all regions of Kyrgyzstan] May 16, 2016, https://www.beeline.kg/kg/news/continueReading?articleCode=00050014. 8 O!, “Мобильный оператор О! первым из GSM-операторов Кыргызстана открывает возможность использования технологии передачи данных 4G LTE,” [Mobile operator O! is the first of GSM operators in Kyrgyzstan using 4G LTE] news release, May 8, 2014, http://bit.ly/1OuduiI. 9 Jet (KyrgyzTelecom )http://jet.kg/jet/rates/bishkek/ Accessed March 2018. 11 Kyrgyztelecom, “Годовой отчет 2010, Кыргызтелеком,” [Annual report 2010, Kyrgyztelecom] http://bit.ly/1WXWIK6. 12 Кыргызстан обвиняет казахских операторов в ценовом сговоре [Kyrgyzstan accused Kazakhstan in price collusion] September 21, 2016 http://bit.ly/2cREcmL; Кыргызстан пожалуется в органы ЕАЭС на сговор провайдеров Казахстана [Kyrgyzstan is going to complain to EEC regarding collusion among Kazakhstan’s ISPs] August 16, 2016, http://bit.ly/2plBuet;АОС: Казахстан предложил низкие цены на интернет-трафик [ACO: Kazakhstan proposed low prices on Internet traffic] November 8, 2016. 16 Jacob Silverman, “Loose Tweets Sink Ships” Politico Magazine, August 28, 2014, https://www.politico.com/magazine/story/2014/08/islamic-state-twitter-110418. 20 “Independent News Website Partly Blocked in Kyrgyzstan,” Radio Free Europe/Radio Liberty, February 22, 2012, http://bit.ly/1WXZ1wW. 22 Ulugbek Akishev, “Агентство связи Кыргызстана отозвало предписание о блокировке видео на Kloop.kg,” [Communication agency of Kyrgyzstan unblocked video on Kloop.kg] Kloop (blog), December 16, 2014, http://bit.ly/1VOHV1P. 23 “Во втором чтении приняты поправки в закон о противодействии экстремистской деятельности” [The amendments to the law “On Counteraction to Extremist Activities” have passed second reading] FOR, February 28, 2013, http://www.for.kg/news-216159-ru.html. 24 Ministry of Justice, О внесении изменений в некоторые законодательные акты Кыргызской Республики (On amendments in several legal acts of Kyrgyz Republic), July 1, 2016, http://cdb.minjust.gov.kg/act/view/ru-ru/111376. 25 President of Kyrgyzstan, “ЗВ Закон «О противодействии экстремистской деятельности» внесены изменение и дополнения,” [Ammendments are made to the law “On Counteraction to Extremist Activities”] news release, May 13, 2013, http://bit.ly/1G9R0R3. 28 “Kyrgyzstan: Stop legislative harassment of Zanoza.kg and its journalists,” Article 19, August 21, 2017 (updated December 8, 2017), https://www.article19.org/resources/kyrgyzstan-stop-legislative-harassment-of-zanoza-kg-and-its-journalists/. 29 “Kyrgyzstan president targets critics” Human Rights Watch, May 12, 2017, https://www.hrw.org/news/2017/05/12/kyrgyzstan-president-targets-critics; “Kyrgyzstan holds three trials in one day” Committee to Protect Journalists, June 2017, https://cpj.org/2017/06/kyrgyzstan-holds-three-trials-in-one-day-against-i.php. 35 Media Policy Institute, “Депутат ЖК инициировала закон, предусматривающего наказание за заведомо ложные обвинения, содержащихся в публичных выступлениях, публикуемых в СМИ,” [The deputy of JK initiated the bill, providing punishment for deliberately false accusation in public speeches published in mass-media] October 22, 2013, http://bit.ly/1OxK6GL. ARTICLE 19 and PEN International, “Joint Submission to the UN Universal Periodic Review of Kyrgyzstan,” June 14, 2014, http://bit.ly/1WY0tPV. 37 Ministry of Justice, “О внесении изменений в некоторые законодательные акты в сфере противодействия терроризму и экстремизму” [On amendments to some legal acts in the sphere of countering terrorizm and extremism] August 2, 2016, http://cdb.minjust.gov.kg/act/view/ru-ru/111441. 38 Resolution of Jogorku kenesh, сведения о законопроекте 6-11804/14 (Bill details 6-11804/14). 41 “Guilty verdicts crash in on Kyrgyz media outlet” The Dipolomat, July 2017, https://thediplomat.com/2017/07/guilty-verdicts-crash-in-on-kyrgyz-media-outlet/; “Stop legislative harassment of Zanoza and its journalists” Article 19, http://bit.ly/2u0Qkck. 46 Andrei Soldatov and Irina Borogan, “Russia’s Surveillance State, ”World Policy Journal (2013) World Policy Institute, http://bit.ly/1cZerr4. 47 Ministry of Justice, Инструкция о порядке взаимодействия операторов электросвязи и операторов мобильной сотовой связи с государственными органами Кыргызской Республики, осуществляющими оперативно-розыскную деятельность (Instruction on cooperation of communication operators and mobile operators with state bodies of Kyrgyz Republic in operative investigative activities), June 30, 2014, http://cdb.minjust.gov.kg/act/view/ru-ru/96622. 49 “В сеть слили переговоры якобы членов "Народного парламента"” [Conversations between members of the People’s Parliament leaked online] Zanoza, May 12, 2016, http://zanoza.kg/doc/338066_v_set_slili_peregovory_iakoby_chlenov_narodnogo_parlamenta.html. 54 Government Public Relations Agency, “Об утверждении Правил оказания услуг подвижной радиотелефонной связи,” [On approval of regulations of mobile telecommunication services] press release, February 25, 2014, http://bit.ly/1G9UmDN. 57 “Сайт Госкомитета по делам обороны был взломан хакерами,” [Website of the State Committee on Defense Affairs hacked] Zanoza, June 21, 2016, http://zanoza.kg/doc/340365_sayt_goskomiteta_po_delam_oborony_byl_vzloman_hakerami.html. 58 “Взломан сайт ГКНБ,” [Website of SCNS hacked] Kabar, July 27, 2016, http://kabar.kg/rus/society/full/109156.